If you declared bankruptcy, it becomes extremely difficult to get new credit—especially if you want to buy a car. If you have an old car that won’t make it for many years to come, consider buying another car before you declared bankruptcy, as your credit score will be damaged for a long time. Follow these suggestions to learn how to buy a car prior to a bankruptcy discharge. 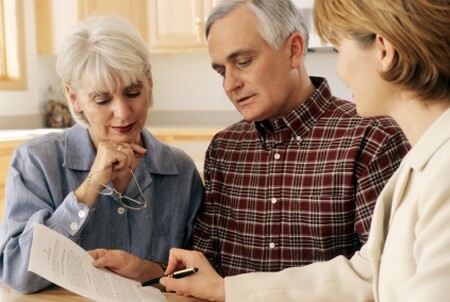 Make an appointment with the trustee who will handle your bankruptcy file. You can do this through your bankruptcy attorney. You will need to secure from the trustee written permission regarding your right to finance a car. Tell the trustee what you want to do, let him know what type of price range you plan to focus on, and ask for the permission. Your trustee might choose to ask for proof that you will have the ability to make the payments. You might want to choose an inexpensive car to help ensure you will have the ability to make payments on time. The trustee might also feel more inclined to approve an inexpensive purchase because he has as his role the job of keeping you afloat without abusing the system. If you have approval from your trustee, look for car dealerships that work with lenders accepting persons in bankruptcy. Be aware that a letter from your lawyer does not prove acceptable under the law, though you might find car dealers who ask this document instead of approval from the trustee. Meet with the car dealer to discuss your financing options. You will need some documents such as the written permission from the trustee, reports detailing your income, utility bills to prove your residency and bank statements. Keep in mind that you will probably have to pay high interest rates and loan fees. This usually happens for individuals in a bankruptcy situation. Before deciding to buy a car, make sure you can make the payments. Your financial situation is already fragile and you will have to deal with a bad credit history. Try not to make it worse by committing to loans you won’t have the ability to pay on time. Choose an inexpensive car but not a very old and used one. If you choose to get a car that could break down at any moment, you run the risk of having to pay your loan while staying stuck with a car you can’t use. Choose carefully because it will prove very difficult to get another car loan. Before you commit yourself to a new car loan, analyze the state of your current car. You could opt for a repairs loan instead of a car loan. It might prove cheaper to fix your car than to get a new one. Remember that your financial situation remains fragile and you need to practice care with all future payments.